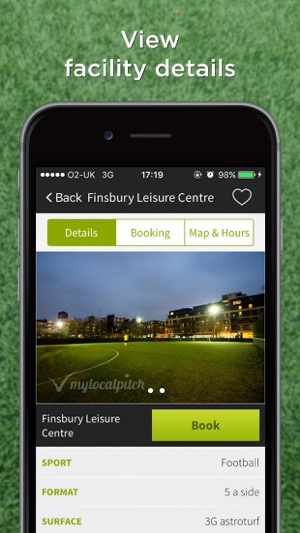 Use MyLocalPitch to book your local sports facility while you're on the go! 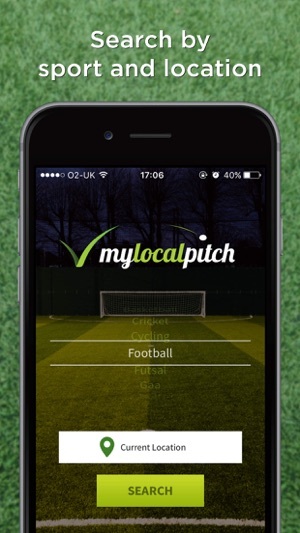 MyLocalPitch helps sports players find and book sports facilities in the UK and Ireland. From football pitches to badminton courts, hire facilities for 18 different sports on a variety of playing surfaces. 3. 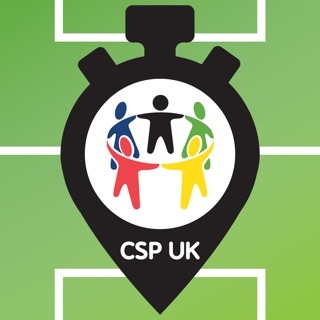 Play any of 18 different sports, compare prices from a selection of local sports facilities and make secure in-app payments. Create an account to manage your upcoming bookings and favourite venues near to your home and work locations! Take a look at a selection of leading newspapers, magazines and websites that have covered the MyLocalPitch app. "An interactive map lets you explore pitches and courts in your desired location and view professional photographs before placing an online booking. 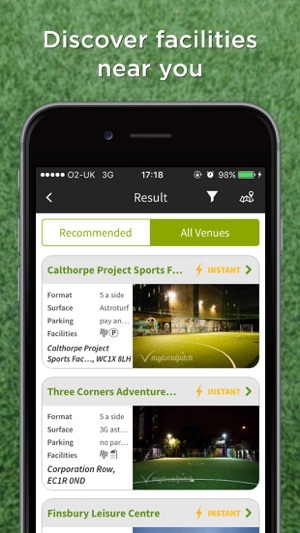 The app is well laid out and simple to use, with helpful information such as parking, opening hours and facilities - including changing rooms and floodlights." "Users can discover local sports facilities via a handy interactive map." This update contains various bug fixes and usability improvements to make your MyLocalPitch experience even better. 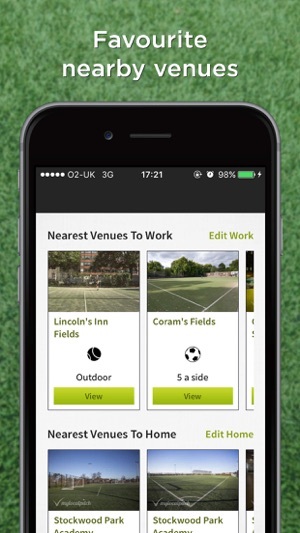 Best app to book tennis courts! 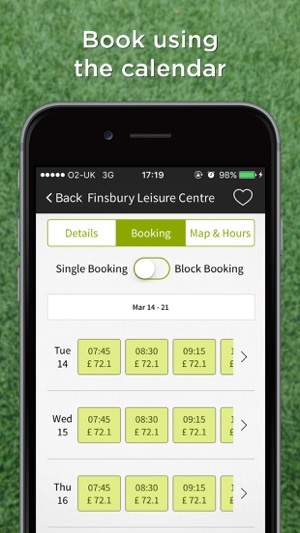 I’ve found it very easy to book tennis courts through this app. There were some initial problems with it freezing when I was about to pay for the court a few months ago, but a phone call to their helpline always solved the problem. Their customer service is the best I’ve ever encountered & they are so quick to confirm bookings. The only recommendation I would make is that the app could show the number of the tennis court we are booked on - I believe the developers are working on including this soon. Booked a badminton court a week in advance only to travel to the venue for them to tell us it was not available and they could not honour the booking. Wasted 2 & 1/2 hours of our time. Emailed and tried to get a refund for the court and they just send replies that they are investigating. Bottom line is I paid for a service that they did not provide and I can’t even get a refund as there is no number to call. Waste of time and money. Cut out the middle man and book directly with the venue you want to avoid problems like this! We’re sorry to hear of the issues you had with the badminton booking. I understand from our operations team there was a technical error with the venue's system and we have since refunded you. Thank you for the feedback and we hope you'll use our service again in the future.